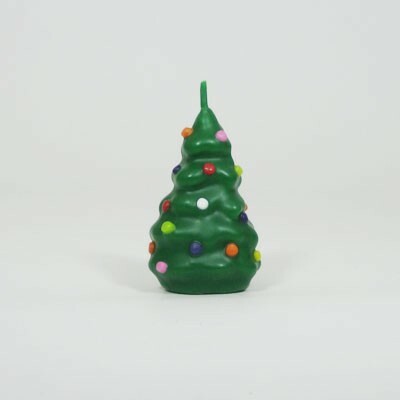 This multi-colored dot small Christmas tree is the perfect decorative shaped candle to add to your home this holiday. This candle has no fragrance and is made with pigment color, meaning it will last for years without fading if stored in a cool, dry place. Candle dimensions: 1 3/4" x 2 1/2". Handmade candle by Waxman Candles of Lawrence, Kansas.